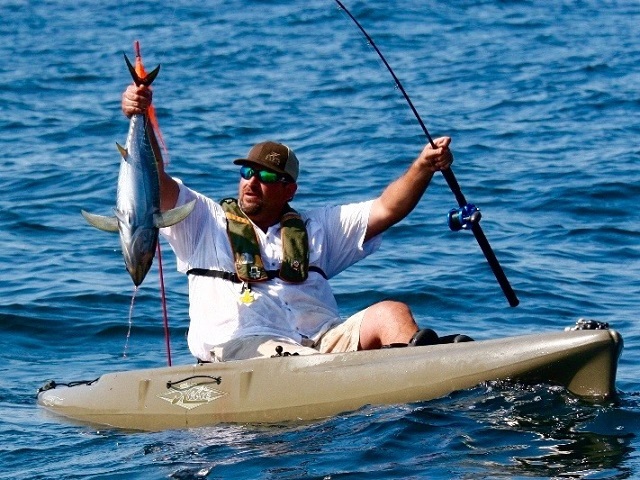 Sterling Harbor Bait & Tackle is a host dealer for Hobie First Cast. Sterling Harbor Bait & Tackle offers demos on the Mirage Eclipse Pedalboards, the Mirage Sport, the Mirage Outback, the Mirage Revolution 11, the Mirage Revolution 13, the Mirage Outfitter, the Mirage Oasis, the Mirage Pro Angler 12, the Mirage Pro Angler 14, the Mirage Tandem Island, the Hobie Quest 11, the Hobie Quest 13, the Hobie Kona and the Hobie Odyssey. There is a $35 general demo charge and a $150 demo charge for the Tandem Island; the charge is deductible from the purchase price. Demo Schedule: In Season—7 Days/Week by appointment. Please call 1-609-729-1425 for complete details.